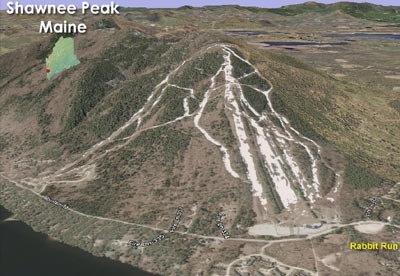 While the installation of the Pine Double improved Pleasant Mountain's uphill capacity for the 1969-70 season, it apparently also caused trail congestion issues. With the Happiness Is trail extended to the top of the new lift, the T-Bar on the lower portion was relocated to give novice skiers an isolated area. 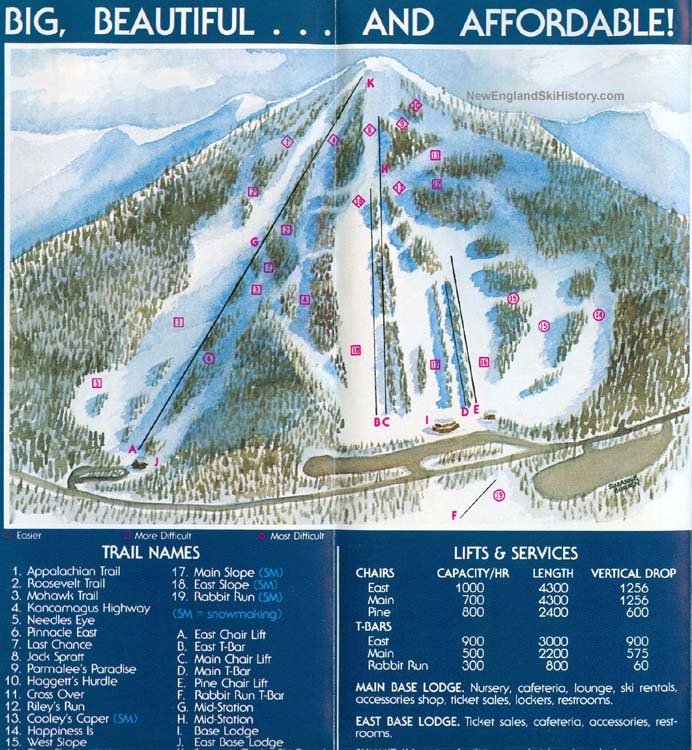 In its new location on the opposite side of Mountain Road, the Rabbit Run T-Bar served some 60 vertical feet of novice terrain starting in 1970-71. The decision was reversed for the 1982-83 season, as the Rabbit Run T-Bar was reinstalled in roughly its former place on the main mountain. Subsequent press cited this as an improvement, since kids would no longer need to cross the road. 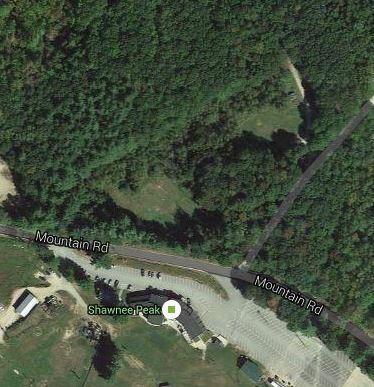 Since then, much of the lower Rabbit Run area has grown in. The Rabbit Run T-Bar was replaced in 1988 with a double chairlift.